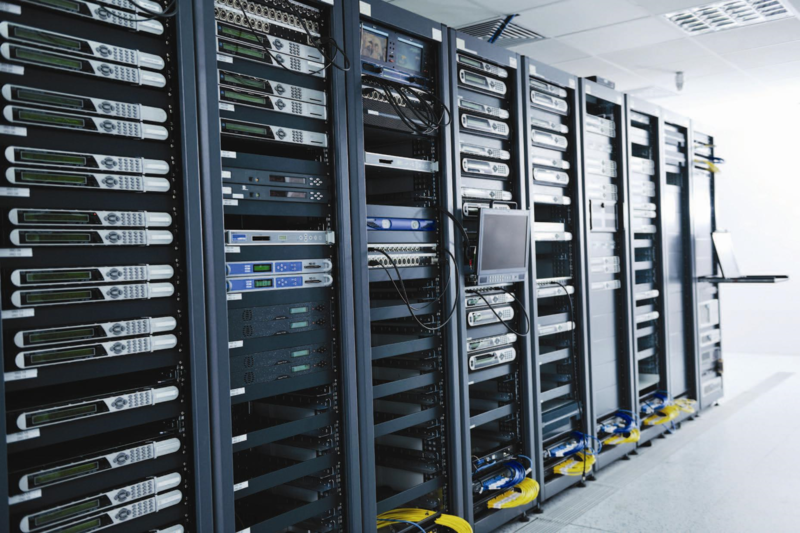 With a growing business and an aging infrastructure, Corless Data Company turned to Midwest Mechanical to address the challenge of maintaining the environmental conditions to support the IT infrastructure and the contractually guaranteed availability of its hosting services that it provides to its customers. The facility was trained for capacity, both needing to add cooling to support the growing load from IT equipment, and not having additional electrical service that would be needed to simply add more and/or larger cooling units. Midwest Mechanical recognized the need to work within several constraints on this project. The Midwest Mechanical team first conducted a feasibility study to identify and qualify several options against those constraints. Available capital and time for implementation negated complete system re-design and reconfiguration. Given the situation, the team recommended and obtained approval for the replacement of several of the existing units to a more "eco friendly" unit that provided additional capacity also. The project provided solutions to several of the owner's issues, while allowing the facility to remain in operation unimpeded. The new units provided much needed additional capacity without requiring any additional power. The Midwest team eliminated re-heat and humidification features when selecting the new equipment, allowing the reuse of the existing electrical service. The multi-year plan for further projects in this facility includes replacing additional cooling equipment, and incorporating a centralized, energy efficient humidification system using reverse osmosis water to feed ultrasonic humidifiers (an innovative technology that is proven to save energy). Through managing future electrical demand, Midwest Mechanical will be able to continue to expand the cooling capacity of the facility to match Corless's growth. During the project, the installation team noted severe airflow restrictions under raised floor serving one part of the facility. Through on-site collaboration with the owner, they changed the design to relocate one of the new units. The optimized airflow provided by the relocation has shown to benefit the owner already. Where one 22 on Liebert unit previously ran at full capacity continuously, the new relocated unit runs at approximately 50% capacity (15 tons) saving approximately $7,000 annually per unit. Corless Data Company (company name has been replaced to protect their identity) is one of the world's leading software and technology services companies. It has over 15,000 employees and serves more than 20,000 customers worldwide. Corless provides software and processing solutions for financial services, higher education and the pubic sector. It also provides a host of related information technology services. Established in 1974 in Willowbrook, IL , Midwest Mechanical's initial focus was providing mechanical service for commercial, industrial, and institutional facilities throughout Chicago and the surrounding suburbs. Over the years, our offerings have grown into a full suite of services related to technical, mechanical and energy systems. Still based in Chicago, we serve clients in Illinois, Wisconsin, Indiana, and Michigan.